A charismatic man, who lives life with great intent, Andrea Franchetti, the proprietor of both Tenuta di Trinoro in Tuscany and Passopisciaro in Sicily, is the nephew of Cy Twombly and the heir to a textile fortune that threads his mother's line. 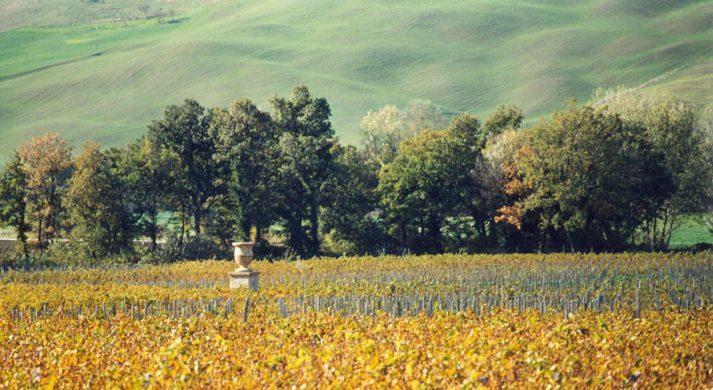 Described by Jancis Robinson in 2002, as "a youthful Yves Saint Laurent," Franchetti once ran a restaurant in Rome, before moving on to distribute Italian wines in the U.S., from 1982-86. Before returning to Italy, Andrea Franchetti went to Bordeaux to learn the art of winemaking from his dear friends, Jean Luc Thunevin of Chateau Valandraud and Peter Sisseck of Domino de Pingus. In 1992, he landed in the province of Siena, where Tuscany intersects with Umbria and Lazio, a remote region that hadn't seen vines in years. Always a risk taker, Andrea planted Bordeaux varietals, in lieu of Sangiovese, at high elevations (500-700m) on the slopes of Mount Amiata. Then as now, he practices high density planting (approximately 9,000 vines/ha), and prunes heavily (60%) to produce low yields, while allowing the grapes to linger long on the vines for a growing season that can extend into November. Working with only free run juice, Andrea's production is quite small, and limited to, on average, a mere 750 cases a year.